HALIFAX, N.S. – There is an exciting new way for fans to get in on the action at the 2019 Memorial Cup Presented by Kia, the Canadian Hockey League Championship. Special two-game ticket packages will go on sale starting Friday, Feb. 22 at the Ticket Atlantic Box Office, online at TicketAtlantic.com or by phone at 902-451-1221. These two-game packs start at just $90, plus HST and service charge, and include one game featuring host team the Halifax Mooseheads, along with one other match-up between two of the top major junior hockey teams in the country. Fans can also purchase the Champions Pack, which features the most sought after match-ups of the tournament – both the semifinal and championship game – for just $120, plus HST and service charge. “Our goal is to make this Memorial Cup as accessible as possible for junior hockey fans,” host organizing committee chair Mat Harris said. 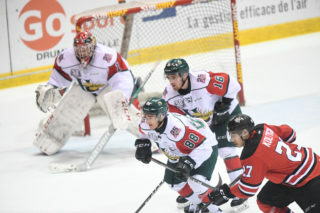 The 101st Memorial Cup features the top four Canadian Hockey League teams facing off in six days of round-robin play, followed by an if necessary tie-breaker, the semi-final match-up and finally, the championship game. The 2019 Memorial Cup runs May 16-26 in the heart of downtown Halifax. 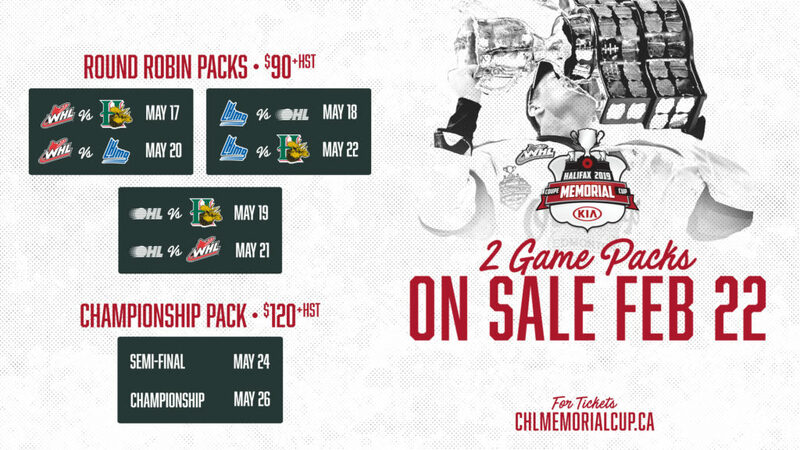 For the complete schedule and more information, please visit CHLMemorialCup.ca.